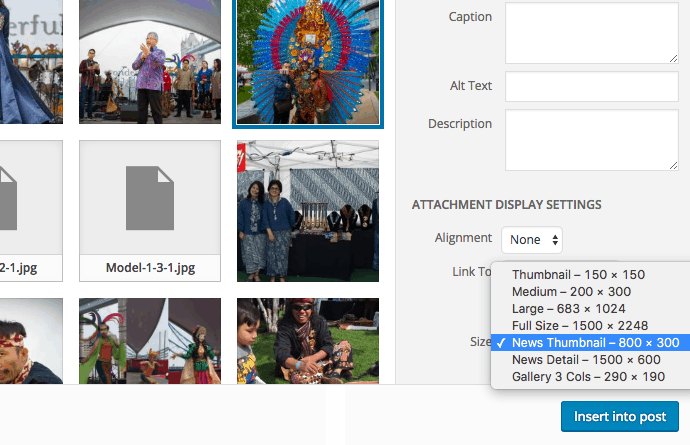 Got your latest images pixelated after uploading it to WordPress? Yes, that could be irritating especially on Photography sites. WordPress has a function to adjust the level of the image quality, as described on Developer Code Reference. Adjust return number to set the level of compression. 100 = No Compression applied. Change it moderate compression about 80. Anything below 80 will make your images looks pixelated but produced a minimum of file size. In WordPres 4.5, my old function to add a custom size to media uploader seems not working anymore. But I found that new way to add custom size image is a lot simpler using image_size_names_choose filter.